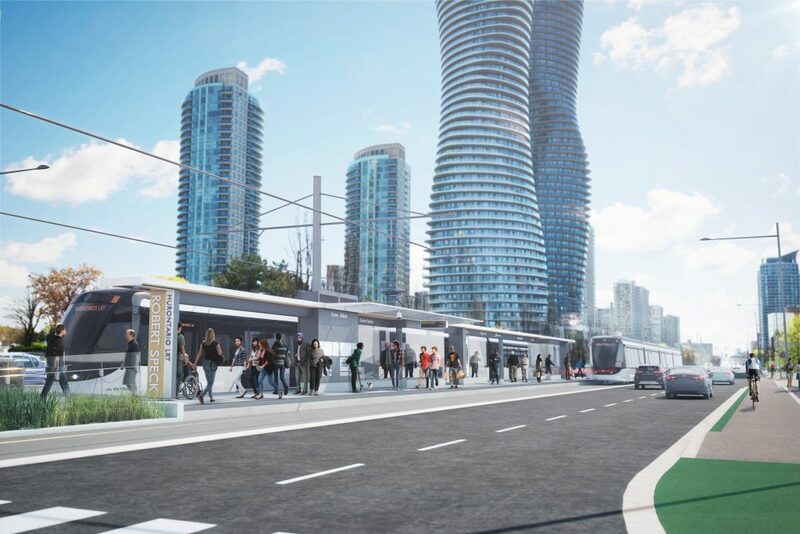 “Following today’s announcement from the Minister and Metrolinx, we are pleased that the Ontario government remains committed to this important project, including the promise to cover 100 percent of the costs needed to build the LRT. Our residents and businesses are depending on it, even with a reduced scope. While I understand the financial pressures, the downtown loop is a key component of the Hurontario Light Rail Transit (LRT) and will help us realize the full potential of downtown Mississauga. The LRT is critical to our City’s future prosperity. Thousands of jobs and businesses and over 12,000 new housing units rely on this line being built. Currently, 27 of our Fortune 500 companies are located within one kilometre of this line. Over the next 20 years, over 25% of our City’s population and employment will be located on this line. The business case is one of Metrolinx’s strongest plans and will transform Mississauga today while helping us manage future growth. While the downtown loop may not be constructed as quickly as we would like, we will examine other funding opportunities to build it at a future date. Our main focus is to build transit and get people moving. This project remains the largest investment in our City’s history and we are pleased that the provincial government remains committed to fully funding the building of the LRT.